Charms of Leffingwell is an antiques gallery and tea room located in the historical Mathews House (1905). The teas, which will begin at 11am on Friday, June 1 and Saturday, June 2, will be served by the Smith family, who owns and operates Charms of Leffingwell. 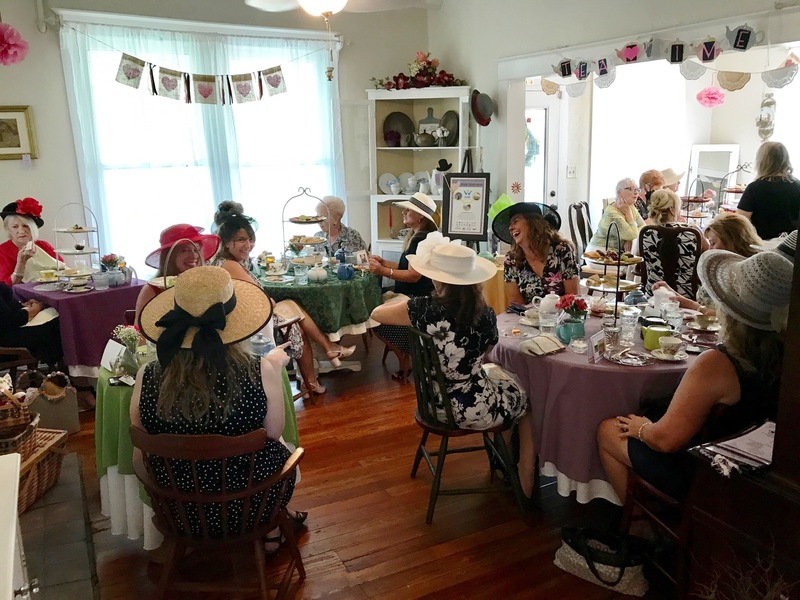 The staff of Manatee Village will open the tea with a short talk about the role that tea rooms played in the Women’s Suffrage Movement. Table decorations will include trivia cards about the history of tea and suffragette history. Dress-up is encouraged. There will be a best hat contest with prizes. These afternoon teas will include freshly brewed hot tea of your choice (over 20 types to chose from! ), homemade scones, Devonshire cream, pastries, and savories. This is a ticketed event with limited space. Tickets are $20.00 and are on sale until May 22. Tickets may be purchased through Manatee Village by calling (941) 749-7165. Charms of Leffingwell, where the tea will be held, is located at: 905 Leffingwell Avenue, Ellenton, FL 34222. This public program is offered by producers: Manatee County Angelina “Angel” Colonneso, Manatee County Clerk of the Circuit Court and Comptroller, Department of Historical Resources and the Manatee County Historical Commission.